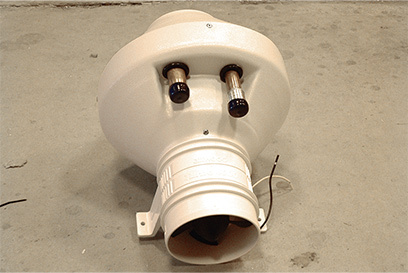 This original cabin heater design features a classic "heater core" style heater, built to work well with Rotax and other liquid cooled 2 and 4 stroke aircraft engines. The kit includes heater system, fan, air duct tubing, and all mounting hardware. Product Materials: Plastic shroud, aircraft grade aluminum heater core, wire reinforced rubber ducting. Weight: 8 lbs.